Camerate crinoid crown and stem. 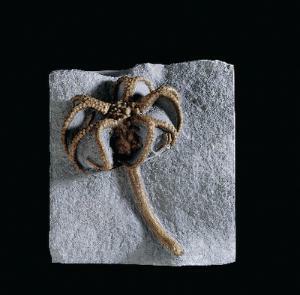 A complete camerate crinoid crown and stem prepared three-dimensionally out of a matrix. Resin. Indiana.